Catherine Patricia Foley was born in Sydney, NSW on 10 October 1957. Her parents’ occupations were accountant and architect. Her schooling was at St Anthony’s primary school and Santa Sabina College for high school. Early influences were her mother, who died when Cathy was nine years old, and her older brothers and sister. Her tertiary education was a DipEd, High School Physics, Macquarie University, 1979, a BSc (Hons 1), majoring in Physics from Macquarie University in 1980 and PhD in Physics, Macquarie University, 1984. She spent six months on a scholarship as a Research Fellow, Department of Electrical Engineering, Oregon State University USA in Corvallis while writing up her PhD. She joined the CSIRO Division of Materials Science in 1985 as a National Research Fellow, being promoted to Senior Research Scientist in 1991, Principal Research Scientist in 1996, Senior Principal Research Scientist in 2000 and Chief Research Scientist in 2008. Her research interests have been in superconducting materials and electronics and their application. She was Acting Project Leader, Superconducting Sensors and Technology Project 1995-96; Project Leader, Superconducting Devices and Applications Project, 1996-2009; Stream Leader, Applied Quantum Systems, 2003-04; Theme Leader, Nanoscale Manufacturing, 2005-07 and Research Program Leader from 2007- present. She was Coordinator, Advanced Materials transformational Capability Platform (August 2008-2011) and served as Acting Deputy Chief-Research from April to July 2009. She was appointed Chief of the Division of Materials Science and Engineering in 2011. From 1988 to 1993 she was a Science correspondent for ABC 2BL radio evening program and since 1989 has been an Honorary Research Associate of the School of Physics, University of Sydney. 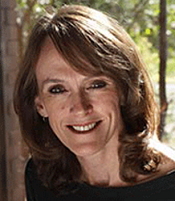 By 2010, Cathy Foley had published 83 refereed papers in international journals; 44 papers in conference proceedings, 4 book chapters, 4 provisional patent applications, 1 granted, 43 other publications and reports and had 1 327 citations in ISI Science Citation Index (10 July 2010) with an average of 14.96 citations per paper. She has been a Keynote Speaker at the AIP Congress – Condensed Matter 2003-05; the Women in Physics conference 2005 and the Australian Science Teachers’ Association Conference in 2008; and an invited Plenary Speaker at 11 international meetings during the period 2002-10. Foley CP, 2010, Personal communication.